When it comes to jewelry, I’m a bit of a minimalist. On a daily basis I wear a lone gold chain which I’ve not taken off since I was about 14. I bought it on holiday, and we’ve together ever since. If I’m feeling particularly fancy I throw on some diamond studs and my watch and we’re good to go. But recently I’ve taken a bit of a fancy to treating myself to something new and a little bit fun. 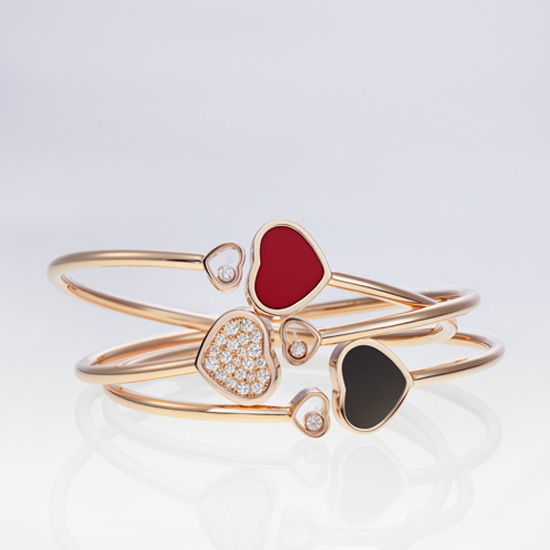 So when I say that Laing Edinburgh were launching the Happy Hearts Collection from Chopard, I think I fell in love! The pieces bring together the brand’s signature hearts and mobile diamonds (super fun to play with if you’re a figiter) and are the perfect mix of sleek and whimsical.